Larry Chiang helps CS majors start legendary careers. Before CS majors become founders, Chiang argues they should practice being CS major CRO’s (Chief Revenue Officers) by doing a 7 hour Pop Up Internship. After Chiang’s Harvard Law keynote, Harvard Business wrote: “What They Don’t Teach You at Stanford Business School“ (the same title as his NY Times best seller). If you read his scandalously awesome “What a Supermodel Can Teach a Stanford MBA”, “How a Stanford Engineer Works Hard and Smart at SXSW” and “How to Get Man-Charm”, you will like his latest post where CS183 is exposed and served as an incubator for a dozen classes taught by VCs. 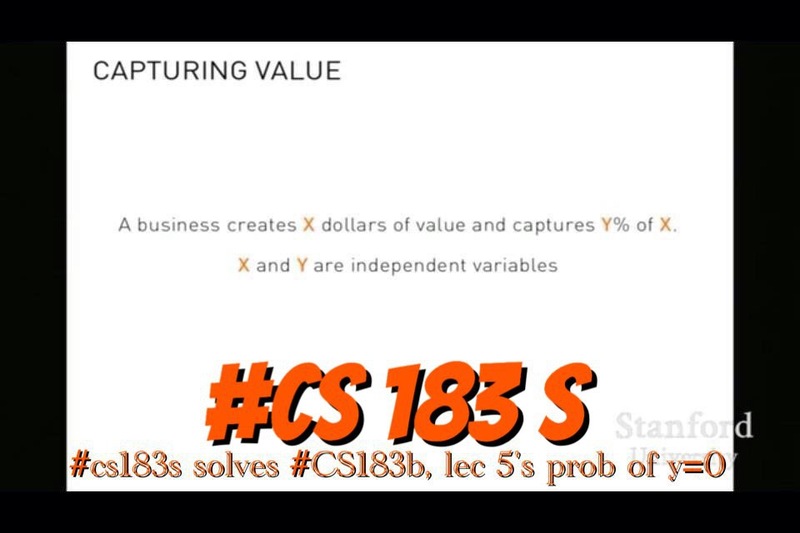 CS 183B, “How to Start a Startup”; CS 183c is Blitz Scaling; CS 183a is a new, new hashtag #cs183a. CS 183 C was forked before Stanford University’s 2015, “cs 183c” fall quarter 2015. I wanted to call this article “What They Do Teach You at Stanford Engineering About Succeeding at Entrepreneurship”. The class is paraphrased all the time. See the first person notes!! !